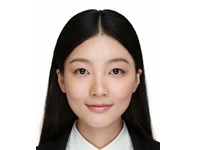 Chen is a journalist at Hainan Branch of Xinhua News Agency. She studied finance at the School of Finance, Renmin University of China. Chen focuses on marine economy, rural reforms and characteristic agriculture, international trade and foreign direct investment, etc.